Transshipment, particularly at-sea transshipment, continues to be closely scrutinised and is high on the agenda of Regional Fisheries Management Organizations (RFMOs) and stakeholders alike. At-sea transshipment allows vessels to remain at-sea for long periods of time, and, consequently, there is a real, or perceived, risk that transshipment 1. allows illegal, unreported and unregulated fisheries product entry into the supply chain, 2. contributes to overfishing by allowing greater fishing effort, and 3. is associated with other illegal activities, for example the recent evidence of slavery, labour abuses and human trafficking. Owing to these risks, there are calls for a complete prohibition on at-sea transshipment. It may also be possible to consider other options for strengthening the transshipment regulations such that there is the necessary transparency and confidence to the supply chain to demonstrate that transshipment is not contributing to illegal fishing activities. To that end, this report reviews the transshipment measures of the five tuna RFMOs plus SEAFO and CCAMLR. SEAFO has implemented a complete prohibition on at-sea transshipment. CCAMLR allows transshipment in specific areas and species and requires prior-reporting of all transshipments. 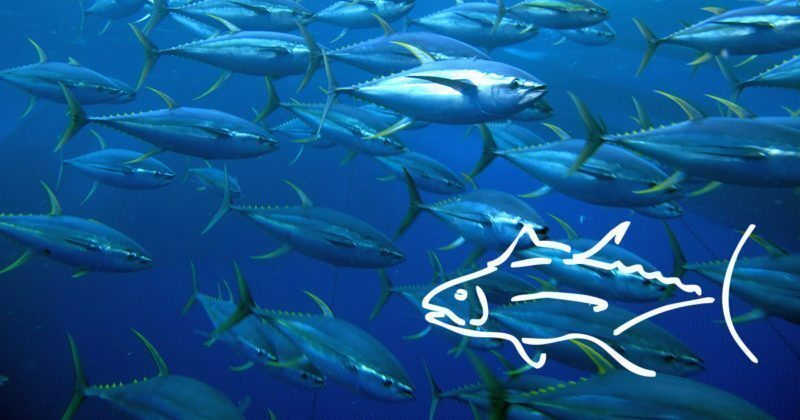 The regulations of each of tuna RFMOs are largely consistent, with a general prohibition on at-sea transshipment before outlining the regulations for those vessels that are authorised to transship at-sea. At-sea transshipment in tuna RFMOs, generally speaking, is only permissible by large-scale longline fishing vessels and requires 100% observer coverage on the carrier vessels. The report finds that, on close examination of the measures and their relationship with other Monitoring, Control and Surveillance (MCS) measures, there are significant gaps and shortfalls. For example, there is complete Vessel Monitoring System (VMS) coverage on vessels permitted to conduct at-sea transshipment and there is inconsistency in the definition of ‘large-scale longline vessel’. The report also finds that reliance solely on the reporting by flag State is unlikely to be providing sufficient transparency on the actions of fishing and carrier vessels. The report’s recommendations expand on historical suggestions and highlight the need to clearly link broader MCS measures with actions to strengthen any regulation of transshipment. See also our RFMO Best Practices Snapshot on transshipment regulation.